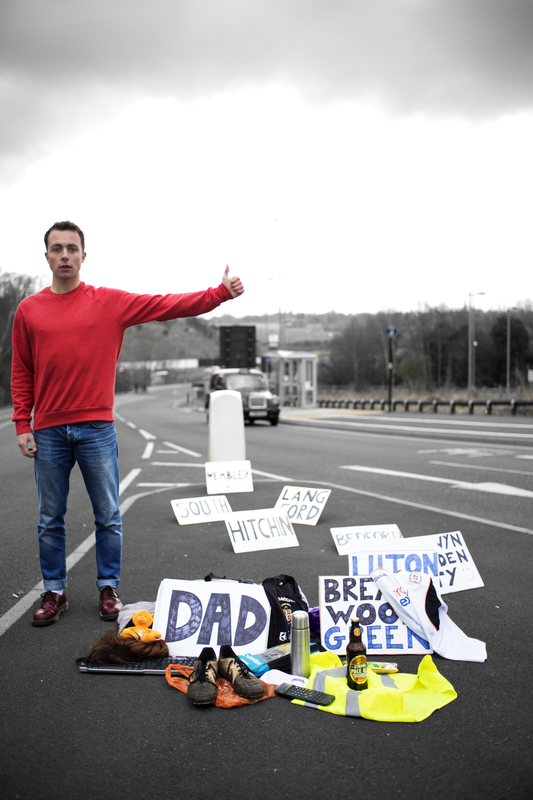 I’ve just launched a Kickstarter campaign to help raise the rest of the funds we need to finish The Hitchhiker’s Guide to the Family and get it to the Edinburgh Fringe, and beyond, this year. We have the support of IdeasTap, Underbelly, Apples & Snakes and mac birmingham, which is fantastic, but sadly not enough to cover everything. On top of this, we recently had some bad news from the Arts Council regarding a funding application we made to them, so we really are in need of a saviour or two (or a hundred)! There’s a whole heap of rewards for people who pledge to help the project (anything from a fiver upwards gets you something in return), at the top of which is a personalised commissioned poem PLUS an hour-long intimate spoken-word set performed by me AT YOUR HOUSE! And lots of things in between, like signed copies of my now-sold-out Nasty Little Press pamphlet and signed posters, meet-and-greets, free tickets to the show, all sorts. This is of course alongside the cultural return you get for your investment, which is a show that will hopefully play to thousands of people this summer and to thousands more across the UK on tour next year. So please help us in any way you can. And if you can’t afford to help us financially, please pester anyone you know who’s rich enough to do so! Spreading the word on your own social media is a really really useful thing, and something for which I’d be enormously grateful. Thanks in advance for any help you can offer. I’m so passionate about this project. I hope others believe in it too. This is exciting for a number of reasons: it means we can do the Fringe ‘properly’, with comprehensive marketing and PR support; it means we are in an amazing, high-profile venue (Underbelly’s Big Belly on Cowgate); it means we can run for the entire festival (6-30 August) and showcase the work to as many people as possible; and IdeasTap is closing on 2nd June, so it’s an enormous – if bittersweet – privilege to be part of what will probably be their Edinburgh swansong. I’m very proud of this show, so it’s a massive validation to have IdeasTap and Underbelly add their remarkable voices to the chorus demanding/begging/politely asking people to watch it, and a great opportunity to have almost a whole month in which those people can do the watching. ‘One-man show’ is a disingenuous term, and increasingly The Hitchhiker’s Guide to the Family is feeling less and less like a madcap solo mission, and less and less lonely. I’m grateful to have such a fantastic team working on the show, and now to have the support of such fantastic organisations. We’re moo-ving on up. Literally, to Scotland. See you in Edinburgh! Tickets go on sale on 11th May. Check back here for a link.